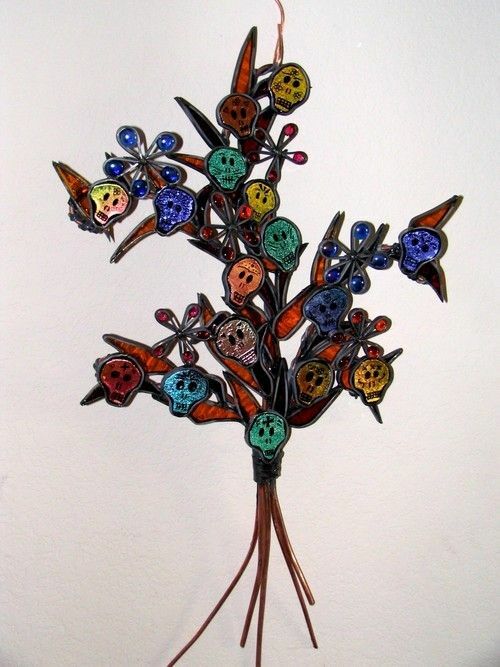 Large Dia de los Muertos Tree of Life featuring glass leaves, Fused Dichroic Glass Skulls and Flowers. Made with Copper, lead and glass. SOLD !